According to a recent study by Smart Insights, 80% of internet users now own a smartphone. This figure is probably closer to 99% within your circle of work colleagues! We list the top 5 phone gadgets that will help you become more productive in your Small Business when on the go. An Inductive Charger, also known as a Wireless Charger, offers you a convenient and stylish way to charge your phone. Our Inductive Chargers are compatible with Qi-enabled devices, otherwise known as Wireless Charging devices. 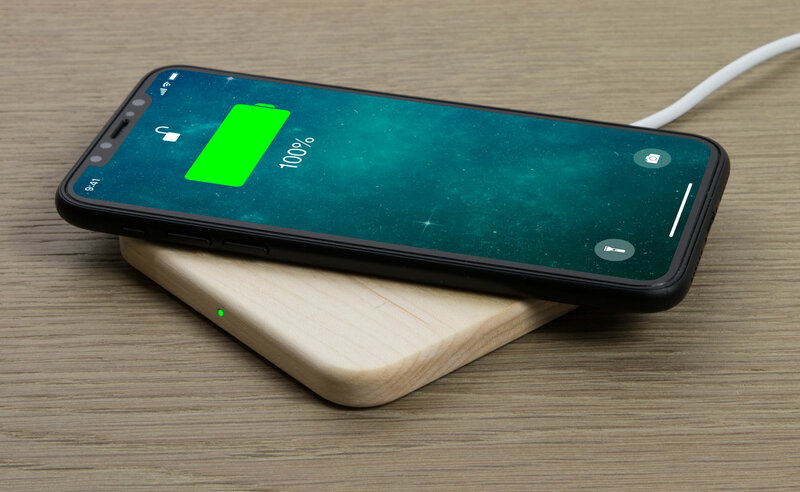 You can simply lay your phone flat onto the Inductive Charger surface and it will start charging. Many of our Small Business Customers use them for their office, at events and in their shops and cafés. When meeting Customers and Clients you want to be able to showcase your work while on the go. However moving large files around still requires a very fast internet connection, so it helps to have a USB Flash Drive that plugs into your smartphone so you can access the information on the go. That is why having a USB Flash Drive with dual connections is key. This will allow you to seamlessly transfer the data from your PC or Laptop device via the USB port onto your smartphone. This makes it the perfect companion for business meetings, client presentations or even to free up your phone memory when capturing photos and videos for your business. 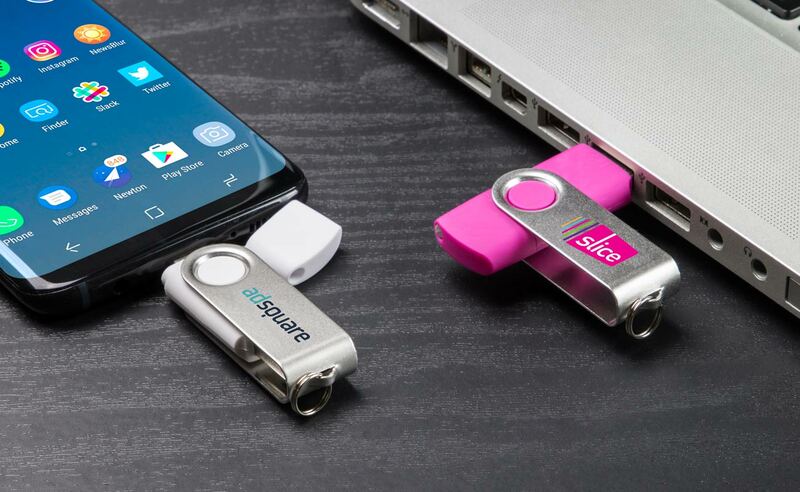 The USB Flash Drive with dual connections offers a standard USB at one end and a choice of either a Micro-USB or a USB-C connector at the other end. While travelling on the go it’s important that you are still able to call your Employees, Customers or Clients. Often at times it can be difficult to hold your phone and have a conversation whilst on the move. That is why Wireless Bluetooth® Headphones make the perfect phone gadget. This allows you to not only listen to audio from your smartphone on the go but also allows you to make and receive calls wirelessly. Most Bluetooth® Headphones also come with a mic allowing you to make and receive calls from your business whilst on the move. This allows you take calls on the go without having to find your phone cables in a rush or reach for your handset when a call is incoming. You can now answer calls with no delay and enjoy the higher quality audio your wireless Bluetooth® Headphones offers. Bluetooth® Headphones also allow easy pairing to your smartphone. 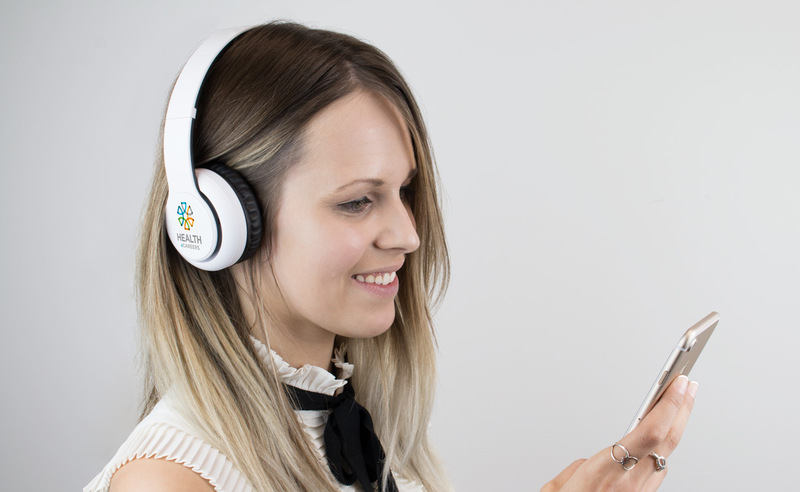 So whether you have an iPhone, Android or Windows mobile device, as long as you have the Bluetooth® feature your headphones will be able to connect. Please check your phone specifications to make sure. To connect, simply turn on the Bluetooth® setting on your phone and ensure the speakers are also turned on. Sync both devices in a single click of a button. Having Bluetooth® Speakers also allows you to carry the speakers wherever you go and not have to rely on the sound from your laptop or mobile device, these are compatible with both iPhone and Android mobile devices with the Bluetooth® function. 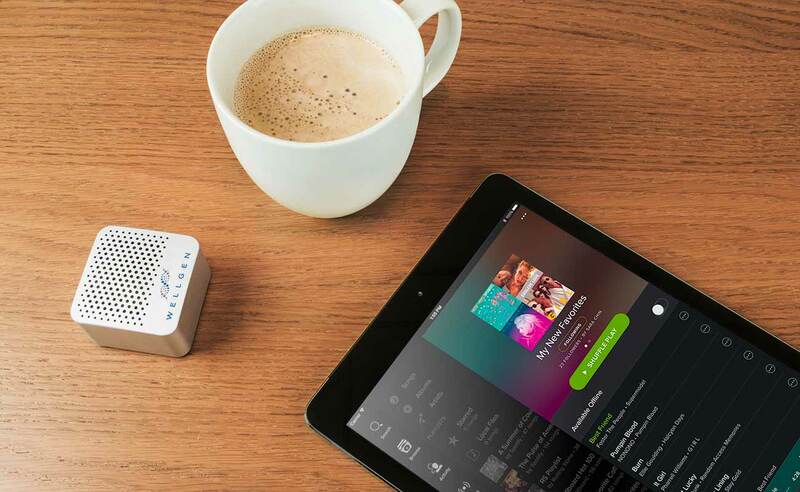 As an added bonus some Bluetooth® Speaker models also include an added Mic for hands free calling and answering. Most Small Business owners will have to charge their phone throughout the day. But what if you're away from the office or not in the car? 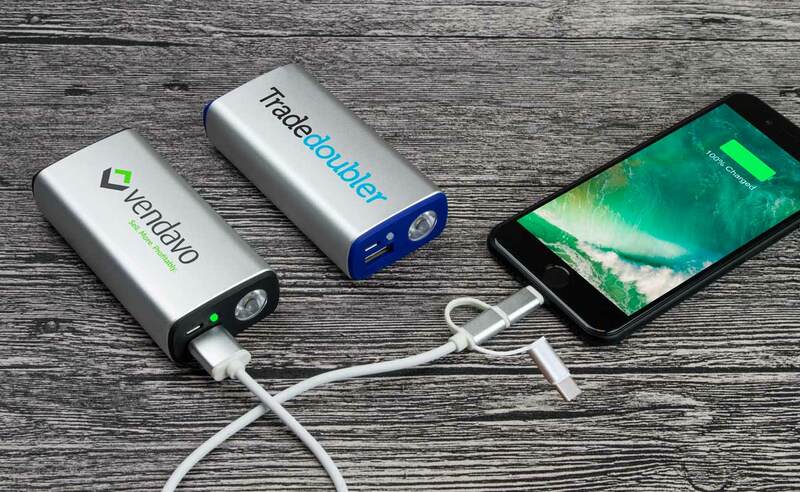 The answer is a simple; a portable Power Bank that can recharge your phone in rapid time. Our range of Power Banks can be branded with your logo, slogan, website address, event details and more. Our models also come in a wide range of power capacities, from 1,000mAh all the way up to 10,050mAh. You can view more unique branding examples for your Small Business on our website, where you can also request a quote. One of our dedicated Account Managers will then be in touch shortly regarding prices and samples if you wish. Feel free to comment below and tell us what phone gadgets you use in your Small Business.